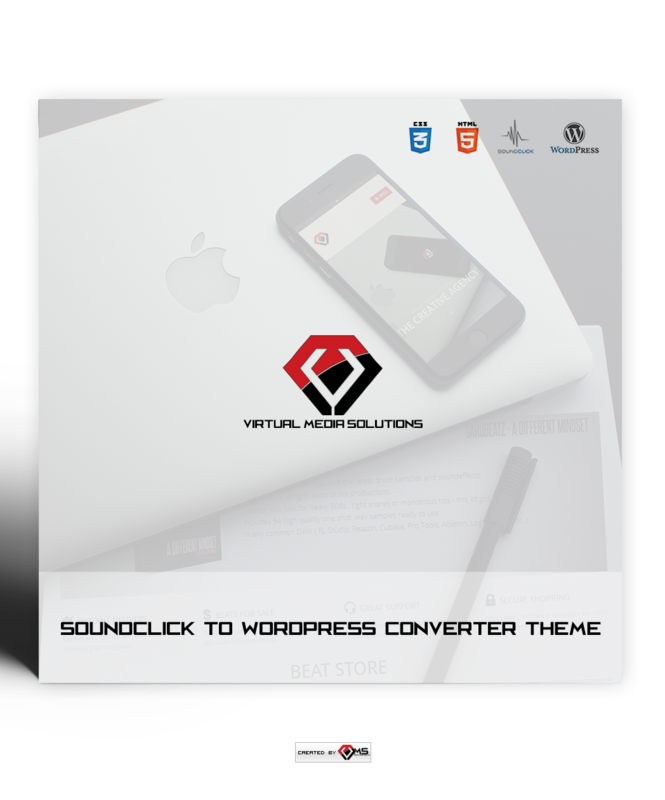 Wordpress Theme to convert your Soundclick VIP Band Page to a Wordpress Page. Complete Description at the bottom of the Page. Edit your Meta Info for Search Engines and Social Media (Twitter, Facebook). Fix the height if needed. 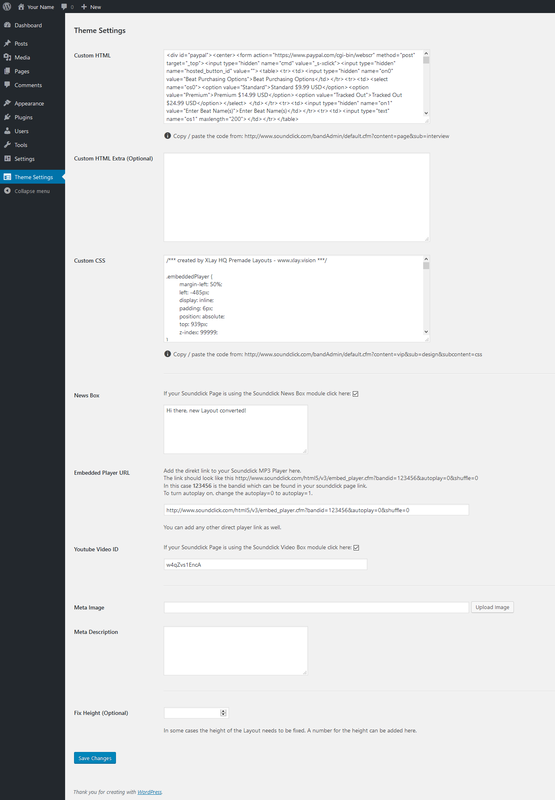 Please note: This is a Theme for WordPress only. This means you will need a Webhosting Plan and a Domain Name ( www.yourname.com ) just like how for a regular Website. Please visit xHost to find a Hosting Plan which fits your needs. Also this Theme requires HTML and CSS codes to be added.